Amplitude versus offset (AVO) analysis can be a very powerful hydrocarbon indicator. TEEC provides not only the right amplitude preserving preprocessing tools that are suitable for subsequent AVO analysis. 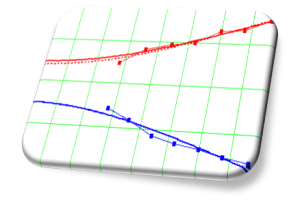 We have also a broad experience in AVO processing and modeling which is necessary to provide base information for the interpretation of the AVO anomalies. 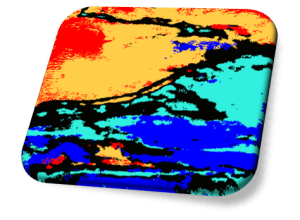 Seismic inversion converts the seismic image of subsurface boundaries into an image of the rock properties. An initial model of the rock properties created from well log information and geological constraints is used to model a seismic response which is then compared to the actual seismic data. The model is changed until the error between synthetic and acquired seismic data is minimized. TEEC has extensive experience in seismic inversion either acoustic or elastic. Coherency processing measures the similarity of adjacent seismic traces. Faults and lineaments should lead to a change in the seismic wavelet and thus to less coherency. TEEC’s proprietary coherency processing offers more than 20 different operators to measure coherency. 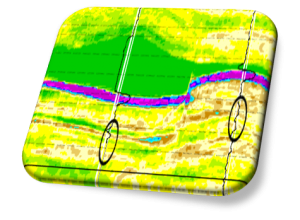 The direction of dip and azimuth of the maximum coherency can be combined into a single display which allows for the highest possible detail in extracting subtle faults and lineaments from a seismic dataset. TEEC’s proprietary software for neural network facies classification works on the basis of an unsupervised neural network. 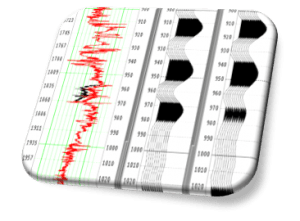 Under the assumption that a change in facies leads to a change in the wavelet, the program extracts training patterns at random locations of the seismic dataset. The resulting pattern classes need to be calibrated either with given well log information or by means of seismic modeling. 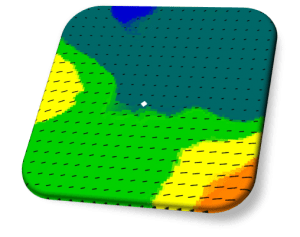 Seismic modeling is often used to combine the hard data from well logs and the soft seismic data. Sonic (p-wave) and density logs form an impedance log which is used along with a seismic wavelet to create a synthetic seismic trace at well location. The synthetic trace can help verifying the efficiency of the denoising & demultiple routines and the amplitude & phase of the seismic data. HTI anisotropy can prove beneficial in predicting subsurface fractures from seismic data. Such faults and fractures can have an impact on seismic velocity, i.e. different velocities are needed to flatten gathers of different azimuth directions. Fast velocities are usually in line with the fault direction. 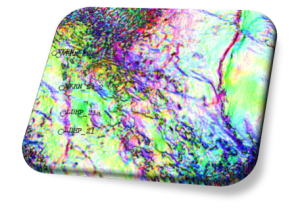 This way fault density and fault directivity maps can be extraced from prestack seismic data.